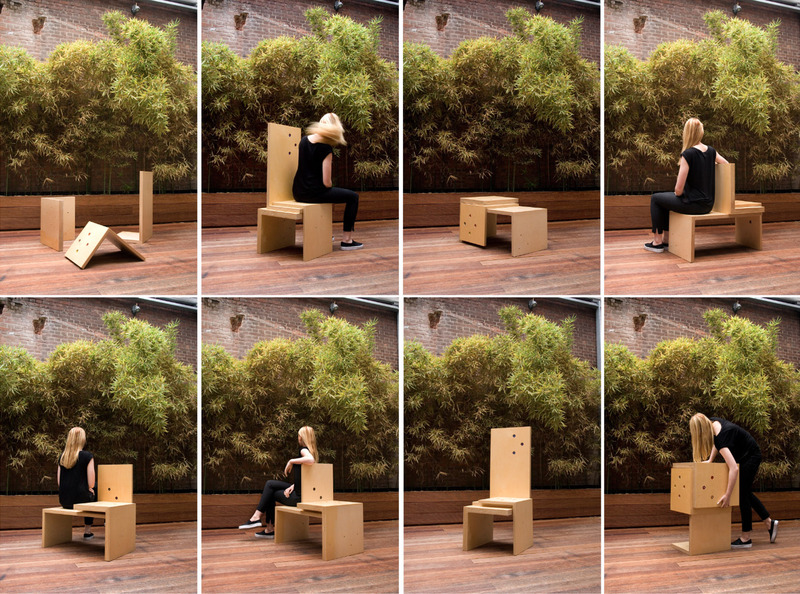 The design of ‘Changing chair’ is inspired on Rotterdam as a changing city. It’s 3 elements represent the city’s building stones. These elements can be ensembled in 7 different ways –> 6 different of chair types, 1 table and 1 speaking table. The 3 elements are connected through 2 bolts with colourful rings. This chair is perfect as a eye catcher in the room or for a modulair seating area in a gallery. This design was exhibited during the ‘Salone del Mobile’ 2010 in Milan Italy, ‘World Expo’ 2010 in Shanghai China and ‘Gemaakt festival’ 2011 in Delft the Netherlands.